In the latest report from the CoPaCC National Police ICT User Survey 2018, officers and staff share the challenges they face in managing digital evidence. A story of unreliable and incompatible systems, insufficient data bandwidth forcing the use of physical media plus a shortage of skills and resources, all against a backdrop of ever increasing volumes of evidence required for disclosure. Read the results and analyses here in the CoPaCC Digital Evidence Management: User Perspectives Report. 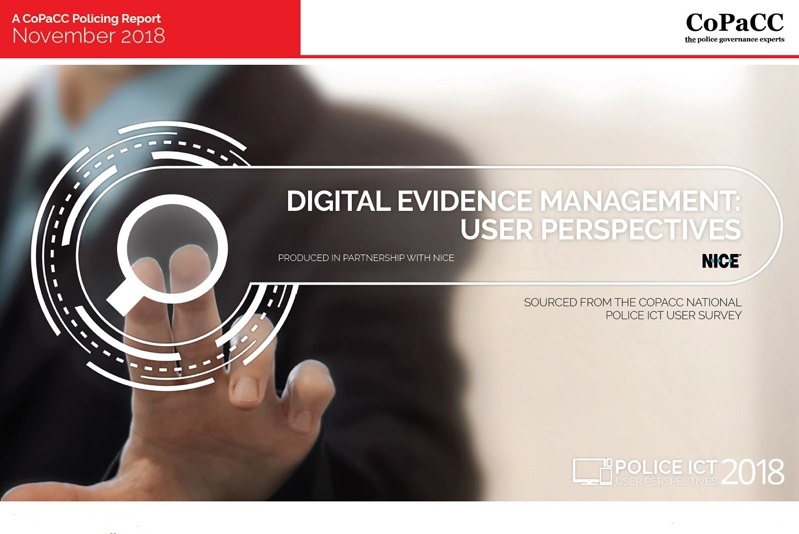 CoPaCC launches the Digital Evidence Management: User Perspectives report, a fascinating insight into the challenges faced by officers and staff in dealing with the increasing demands of sourcing, processing and sharing digital evidence to build criminal cases. The report provides results and analyses from two new questions added to the 2018 CoPaCC National Police ICT User Survey the ask about the challenges and planned police force investment in Digital Evidence Management . 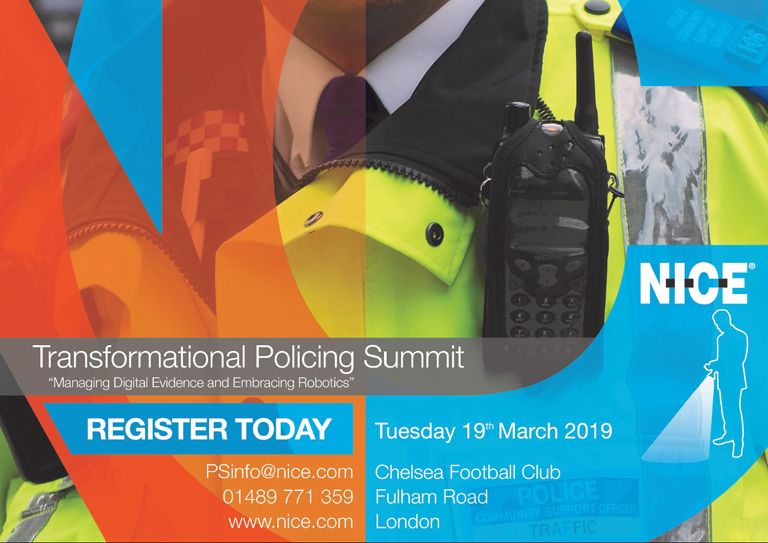 The questions were developed in partnership with NICE Public Safety, suppliers of digital evidence management solutions. The survey received responses for these two additional questions from 3599 officers and staff who also provided over 900 specific comments on their experiences. 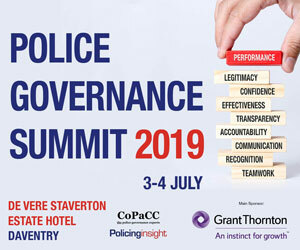 The feedback from officers and staff indicated that all were significant challenges but the standout pain points for police forces were in collecting, converting and sharing digital evidence with over 50% of respondents indicating that these were the top three challenges in their force. 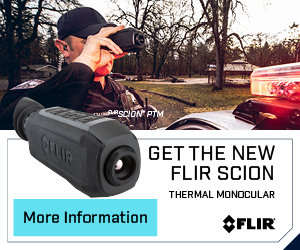 “One of the issues is the CPS and our force having a different computer system. When we send them things it can be challenging as it is not always clear they have everything. Sometimes you turn up at court and the solicitor will not have everything you have sent on their system.” complains a detective sergeant from a large urban force. Unsurprisingly most respondents did not have the direct knowledge and answered “I do not know” but those that did respond indicated that most police forces are prioritising investment in digital evidence management in the very near future and makes for reassuring reading that UK forces are recognising the issues raised by officers and staff.